It's no secret that ginger provides many health benefits. It's great as a tea, useful for cooking, and even tastes great just as a candy. Have you ever taken any on vacation with you? It may be time to start! Ginger Trips from Solaray deliver a healthy dose of ginger, as well as vitamin B6 for optimal health while you travel. 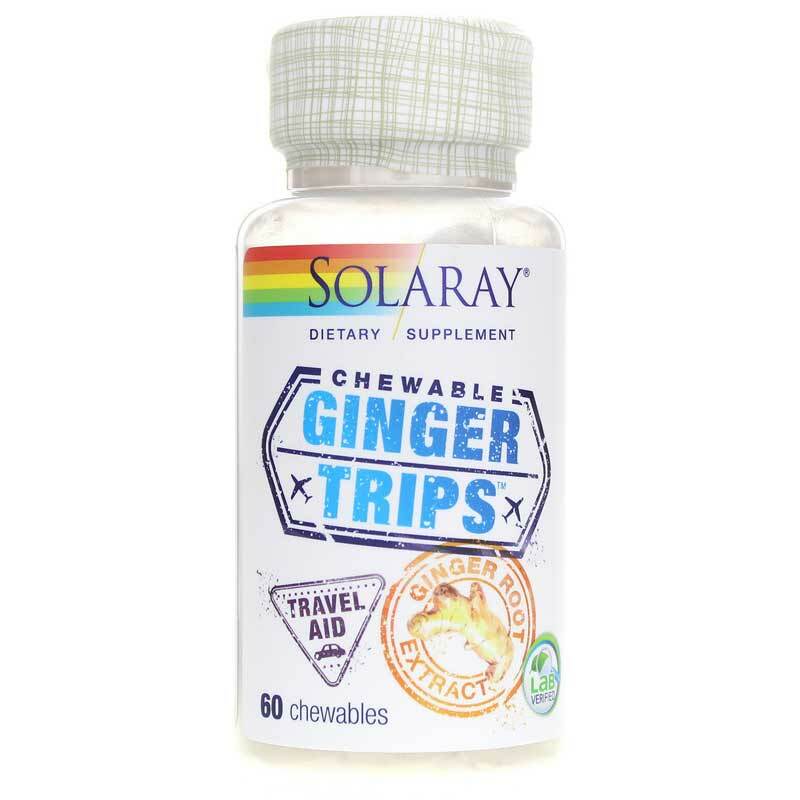 Solaray's Ginger Trips comes in a delicious chewable that is sweetened with ingredients like stevia, honey, and molasses. Taking care of your health while traveling has never been so simple or so tasty! Ginger is the natural solution for a healthier, happier life. Try Ginger Trips from Solaray today and keep your body healthy, even while on vacation. Order yours today! Other Ingredients: Molasses, honey, cellulose, stearic acid, acacia, silica, and magnesium stearate. Adults: Use only as directed. Chew one wafer one to four times daily or as needed. Keep out of the reach of children. 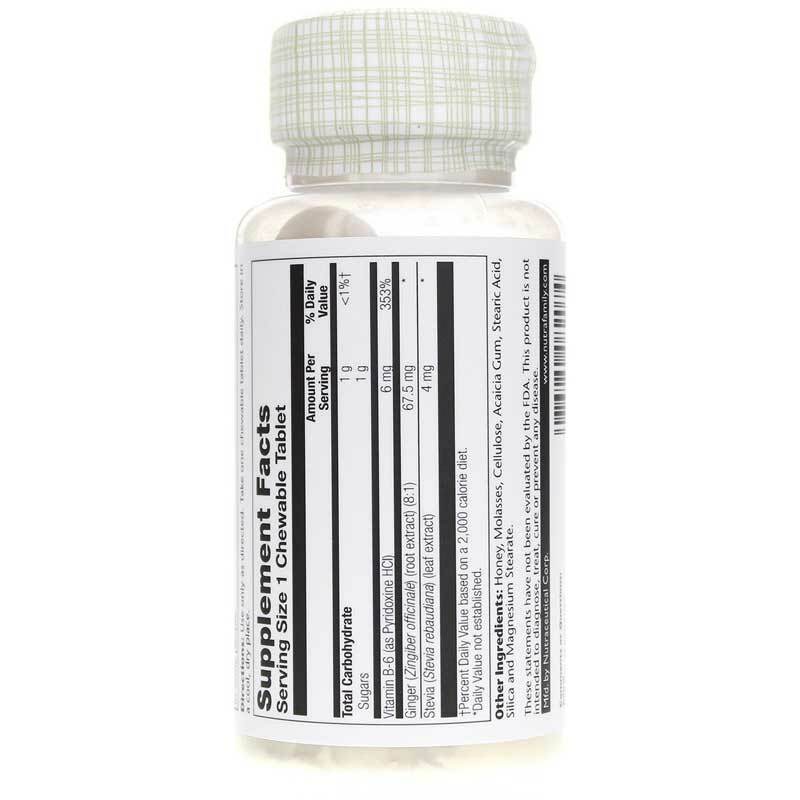 Keep your licensed healthcare practitioner informed when using this product, especially if you have gallstones. I tried these the first time I went on a cruise. They worked wonderful. When someone at work has a stomach problem, I give them one and they are hooked on how great they are. I even have people asking me how to get more. I like the tablets because summer in FL is too hot to use the gel kind and I think the tablets work faster then the capsules, but that's just my opinion. These are a must have..a real go to. I take one or two if needed and at times have taken an additional 2 tabs. Work great, no side effects at all. Solaray's Ginger Trips taste okay, but they certainly work for what one would need them for. 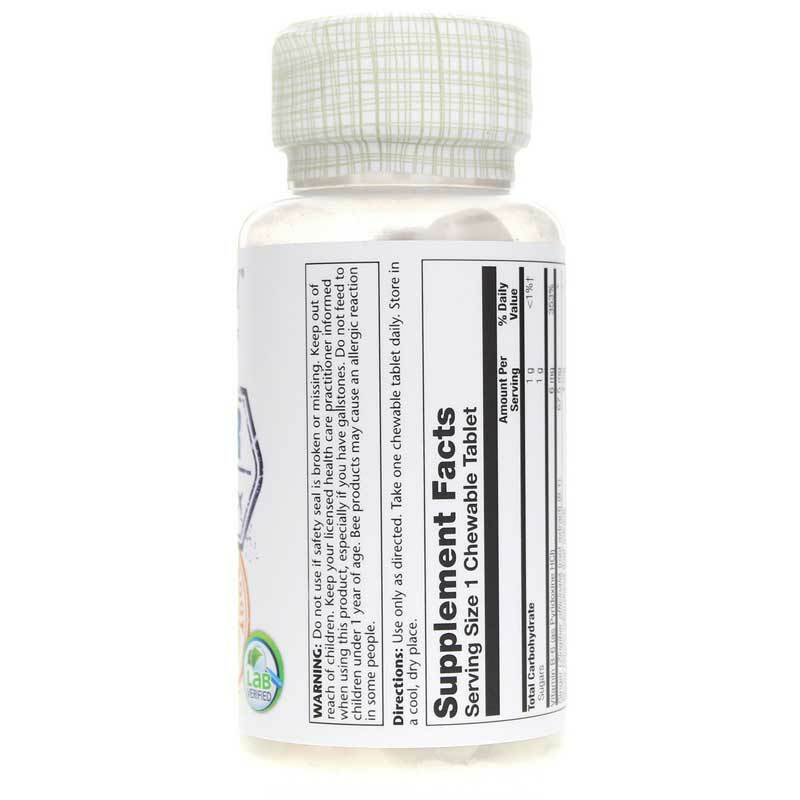 As always, Natural Healthy Concepts are a first class online seller of a wide range of high quality supplements. We have purchased products from them for years, and find them to be excellent in every way, offering very good pricing and free shipping on every order. I expect to buy these Ginger Trips from them again when I run out. My 11 year old and I carry these with us everywhere. These chews have been a big help! Always helpful when feeling "off".